Styling, technology and without a doubt, performance has been upgraded on the latest 2018 Equinox from Chevrolet. So when the 2018 Ford Escape made an appearance, on Chevrolet’s ‘turf,’ an all-out brawl was highly likely to ensue. And ensure it did. These two rivals have an interesting relationship. Chevrolet stays ahead of this one with many different aspects scoring it highly, leaving no room for the 2018 Ford Escape to catch up. The 2018 Equinox offers better functionality, a more powerful drive and amplified ‘all around’ interior cabin and cockpit space. Ford really falls short this round, while Chevrolet continues to progress proficiently into the future. Ford has a hard time making a decent impression with their engines and the engine’s performance in comparison to the strong offerings from the 2018 Chevrolet Equinox. There isn’t really a fair comparison, to be honest. The Ford Escape’s inline- 4 engine has 165 hp that is rather sluggish and feels as though it struggles to keep the vehicle moving through the gear changes. The driving performance is rather disappointing and really unexpected from Ford. Truth be told, Ford makes engines that are suited for larger trucks and in effect, will have the ride to suit. The 2018 Escape could have done better to incorporate the power more efficiently through the drivetrain. Chevrolet alternatively has a base engine that gives its rider’s immaculate driving performance and this is largely due to the intuitive configurations. The 2018 Equinox comes with a 1.5 liter- the engine that is the smallest one to feature in their range. It comes loaded with the power of 170 horses underneath its hood and 230 pounds-foot of torque. Chevrolet has made some brilliant updates to the 2018 Equinox and it shows. The engines are quieter, offers way better performance and the capacity to outperform the Ford is made blatantly obvious. The interior spacing of the 2018 Equinox is brilliant and a necessity for long distance driving. The finishes inside of the Equinox is of higher standards and feels way more comfortable. The stiff, trimmed down seats of Ford’s 2018 Escape makes it quite uncomfortable. Pair this with less cabin space, and it becomes more and more obvious as to why the 2018 Chevrolet Equinox is a smarter purchase. I’m still not sure about the Equinox! Ford’s 2018 Escape has rather low fuel economy ratings, at 23 mpg city/ 30 highway and 26 mpg combined. The 2.0 liter, turbo-powered 4WD, uses up 20 mpg, 27 and 23 combined. The front wheel configuration gets 21/ 28 and 24 miles per gallon. The Chevrolet Equinox has far better ratings at, 28 mpg on their 1.5-liter engine with a front- wheel drive setup and 26 on the 4wd versions. The higher trim level achieves, 26, 32 and 28 mpg combined. Their diesel engine gets 28, 39 and 32 on their front-wheel drives, and 28, 38 and 32 combined on the 4wd. There are a few factors to take into consideration when the cost of a vehicle is concerned. One of them would be the MSRP (Manufacturer’s Suggested Retail Selling Price). Now take all of the great features, the stunning driving performance and the fascinating fuel economy of the 2018 Chevrolet Equinox into consideration. The fuel savings alone, when compared to the fuel-guzzling 2018 Ford Escape, is massive. Add in great value for money and you would expect the 2018 Chevrolet to be incredibly pricey. 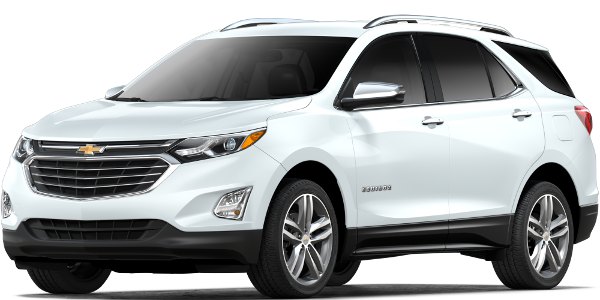 Surprisingly though, the 2018 Equinox has been priced at a few hundred Dollars less than the 2018 Ford Escape. Granted though, that it is only a few hundred Dollars, but at the end of the day, every Dollar counts. We have been rated as Indiana’s number 1 Chevrolet dealership by all of you, and for that, we are exceedingly grateful. With this being said, you can trust that we will always keep to our word in providing you with the most value that your money has to offer. Mike Anderson Merrillville has taken the initiative to be actively involved in the uplifting of our wonderful community. We will extend our service offerings to further improve our already magnificent levels of customer service. We also have one of the widest ranges of Chevrolet vehicles that range from, SUV’s to trucks, to performance vehicles. Visit us today and increase your chances to get pre-approved for vehicle finance. We really do have it all and will give you our all to ensure your complete and utter satisfaction.ives.